Slot machines were first invented all the way back in the 19th century but have come a long way since. Video slots are the new breed of slot machines and if you walk into a brick and mortar casino today, most of the machines on the floor are likely to be video slots. While in essence they are the same as reel slots, video slots offer much more versatility to players and allow for people from all walks of life to enjoy the game and potentially win some money while at it. Further evolution of video slots has now enabled us to play video slots online and enjoy the excitement of winning bonus rounds or big jackpots from the comfort of our home. There are quite a few upsides to playing video slots as opposed to classic slots or poker machines. For starters, video slots are much easier on your bankroll as they allow smaller denominations to be played meaning players with small and big bankrolls alike can enjoy video slots in full. If you wish to make your stakes bigger, you can always bet additional coins per line. Next up, video slots offer many more paylines than your regular slots. Some video slots allow players to win in hundreds of different ways and while the pays are smaller than they may be on a classic slot machine, they will be more consistent and will keep you from burning through your bankroll quickly. Maybe the most fun part about video slots is the fact they allow you to win bonus games, feature wins and jackpots. These bonus wins are usually fairly big compared to normal wins on that same slot machine and will comprise much of your winnings. It is extremely exhilarating to finally hit the three scatter symbols and start the bonus round hoping for the best. On the other side of the spectrum, the smaller wins on video slots make it so that players really need to go on a heater in order to win big. You could be playing for hours and still be hovering around your starting bankroll. This is of course great for players who love to have fun playing slots, but those with bigger expectations may want to stick to classic slots hoping for that huge win. Finally, the small chip denominations on video slots can lull players into a false sense of security and you should always make sure you know exactly how much you are betting. What we mean here is that while your chip may be small, you may be betting many coins per line without even knowing it. Make sure you check your total bet and always be aware of what you stand to win if you hit certain lines. Playing video slots may seem like a very simple form of gambling and in essence it is one that requires the least skill or knowledge and is more focused on providing fun for any player. That said, there are still online video slots strategies you will need to know in order to both improve your chances of winning and make sure you get the most fun possible from playing video slots online. Video slots are somewhat different to classic slots. For starters, most video slots have 5 reels and three or more rows of symbols, with anywhere between 5 and hundreds of paylines. Very commonly video slots will have 10, 15, 20 or 40 paylines along with scatter symbols which pay no matter where they appear. Two or more scatter symbols will often pay no matter if they are on a payline or not. A player is allowed to bet very small denominations in online video slots, often as low as $0.01 per line. To increase their bets, players are allowed to both increase their denominations or bet multiple coins per line. The more you bet per line, the bigger the wins will become. Oftentimes, video slots will award progressive jackpots as well, but usually only to the players who bet the absolute maximum per line. Video slots are usually not created by the casinos themselves. Rather, software development companies such as NetEnt, Microgaming or Cryptologic provide their games to various casinos. This is why you will often see the same games at multiple online casino sites, much like you would see the same slot machines in multiple brick and mortar casinos. 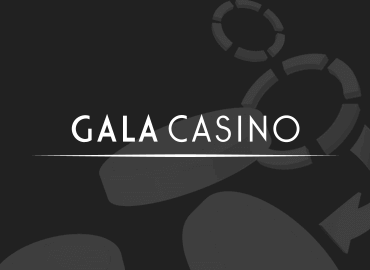 Some casinos, such as 888 Casino do also create some of their own games to give players a very unique experience. The most fun part about video slots compared to classic slots is the fact they provide so many fun ways to win. For instance, most video slots have a Wild symbol which substitutes all other symbols. The Wild symbol may often also multiply the win when it is a part of a paying line, meaning it will be very fun to see multiple Wild symbols on the board, as many lines may be formed, paying big wins. Feature wins and bonus rounds are also available on most video slots. These are usually triggered by collecting three or more scatter symbols anywhere across the board and the games they trigger can be very fun and rewarding. While some slots award players with Free Spins, during which they don’t have to pay for the spins, others trigger mini games which are interactive and allow players to win money by playing pick and win games and similar. The various software developers constantly compete to bring new and exciting mini games, feature wins and other features into their slots to make them distinctive and better than the competition. This fierce competition has made the world of online video slots extremely fun and ever changing. I often see players playing video slots and have no clue what they can win or how to win it. While this is not inherently wrong, playing these games will be a lot more fun when you know what combinations of symbols pay what at which special symbols you are looking for to trigger those elusive bonus rounds and feature wins. Knowing how to win will be crucial in making up your video slots strategy. you will want to keep track of it whenever you make any changes and you will definitely see that understanding the pay table adds an entire new dimension to the game as you know what to cheer for. One of the big upsides to playing slots online instead of in brick and mortar casinos is the fact they simply pay more. With the lower maintenance costs and more players, online casinos are able to give back as much as 98% of the money put into slots, while live casinos often go as low as just 80%. What is more, online casinos provide great player bonuses, which allow you to play with an even bigger bankroll, which is never possible in live casinos. But not all online slots are equal either. Some slots pay more and others less and it is fairly easy to find out which slot pays what through some online searching as the slots are regularly tested by independent companies. This is why players should always be on the lookout for the highest paying machines. However, it’s not all about the highest paying as we are also in this to have some fun. Giving up 0.5% or 1% of the wins for more fun is perfectly fine and many players consciously give up a little edge in order to play slots that are simply more entertaining. 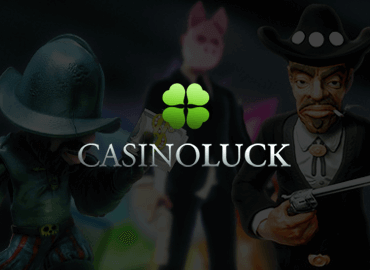 Currently the most popular online video slots include Thunderstruck II, Texas Tycoon, Starburst, Cleopatra, Mega Moolah, Gonzo’s Quest and others. These slots provide the ultimate balance between high payout rates and highly entertaining games, making them the champions of the industry. Video slots are among the most entertaining online casino games and probably the ones played the most by players of all ages, occupations and bankroll sizes. With so many to choose from, your biggest concern will likely be which game to pick, but fortunately you don’t have to stop at one as the low variance of these games allows players’ bankrolls to last long enough to try out many titles and often even hit some solid wins.